Engaging web design has never been more valuable. Effective websites elicit lasting impressions and increase engagement, conversion and return visitors. That's why at Groove, we constantly explore web design effects to inspire user delight. 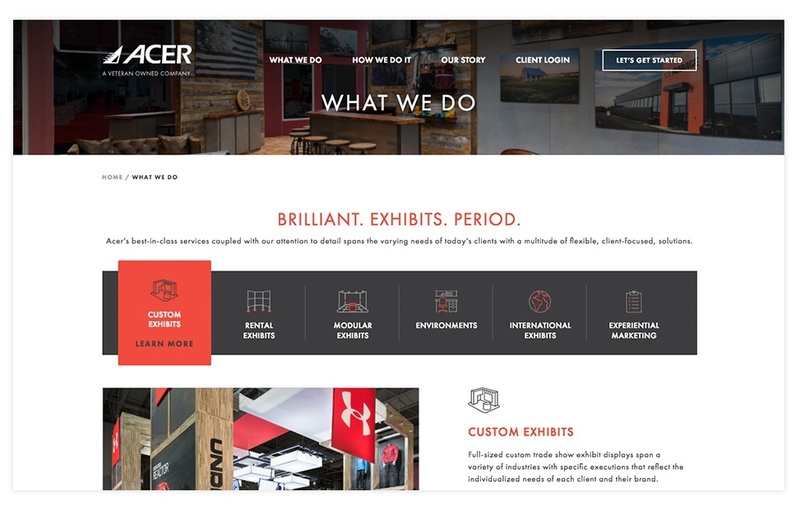 Discover 10 web design effects to enhance your website. Beautiful and engaging web design has never been more valuable. Effective websites elicit lasting impressions and increase engagement, conversion and return visitors. That's why at Groove, we constantly explore web design effects to inspire user delight. And so, we decided to share some of the best website effects that are sure to engage and impress your users. 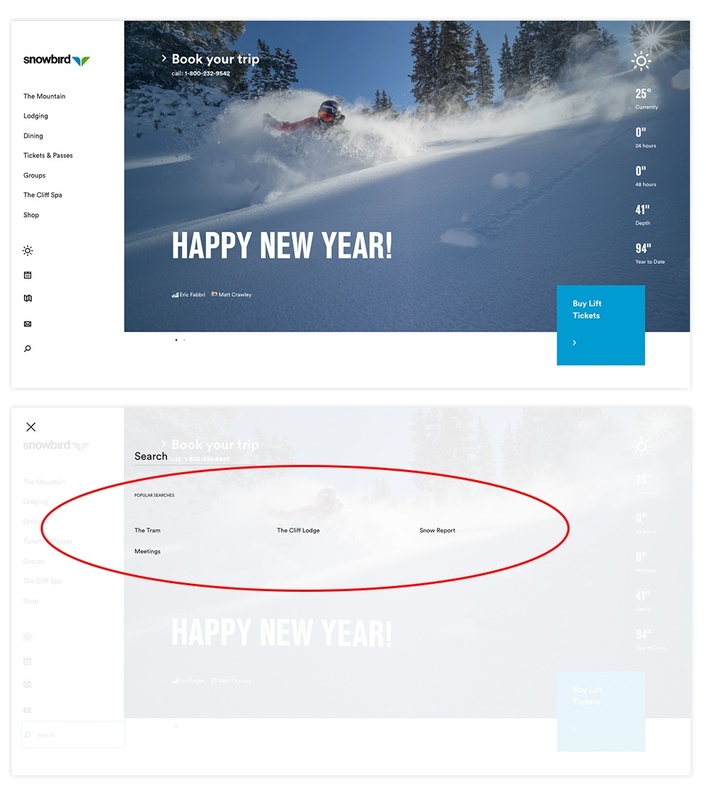 Snowbird’s website interactions enhance its already intuitive experience. This site is a stellar example of minimalist design, with a focus on white space and a simple search icon. When clicked, the search bar overtakes the full screen and includes popular searches. This allows for a more robust and seamless functionality. This example from ICON 1000 pushes the limits of navigation design in a good way. As users scroll, the sticky navigation condenses and becomes more minimal. Additionally, its robust hover effects help users discover other site areas. These visual elements reinforce the create an immersive user experience. 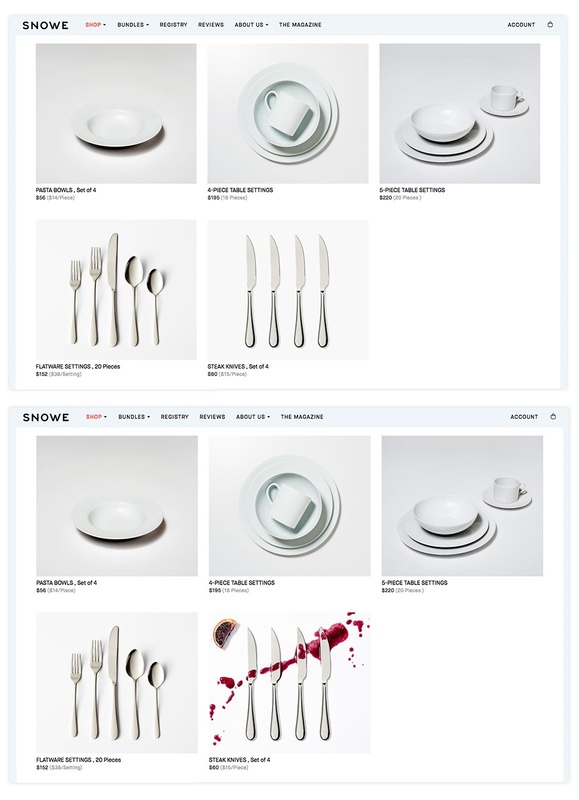 Snowe's surprise website interactions keep users on the edge of their seats. Hover animations reveal quirky use-case photography that reinforces the greater brand story. This effect complements standard ecommerce implementations and enhances the design and user experience. As a core tenant of material design, subtle drop shadows imply depth. The keyword here is subtle! For some inspiration, look no further than Airbnb. 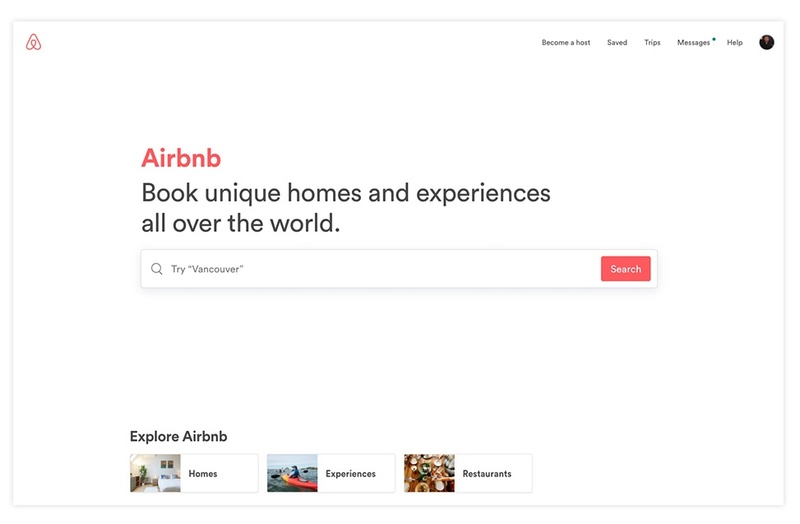 Their subtle drop shadows add hierarchy and depth to their search feature. So you’ve scrolled and scrolled but want to get back to the top? The “back-to-top” feature is here to help. 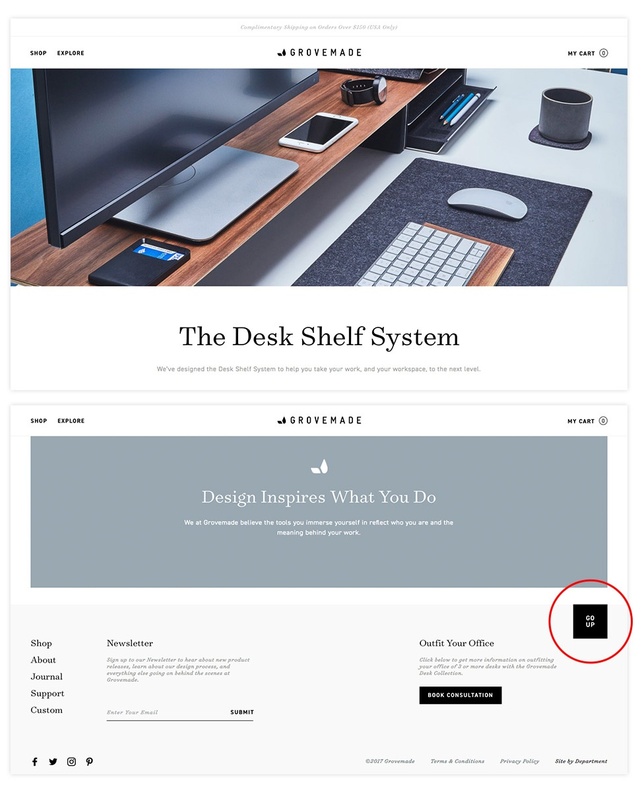 This simple button can reduce drop-off on heavy content pages and ease the user’s journey. For example, Grovemade's clean treatment is both visually pleasing and intuitive to use. Parallax scrolling adds motion to websites and can help to imply depth on flat design. This effect elevates the site’s aesthetic and enhances its content. 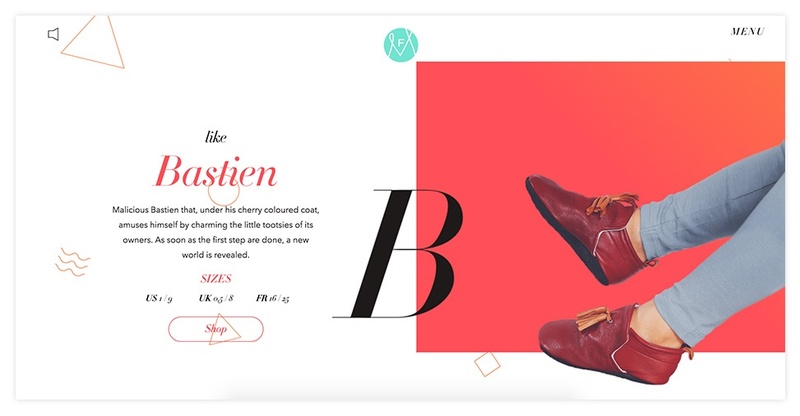 Melanie F, a shoe company, uses parallax scrolling to delight users as they scroll down the page. Many ecommerce website use background fades in their standard product quick-view functionality. 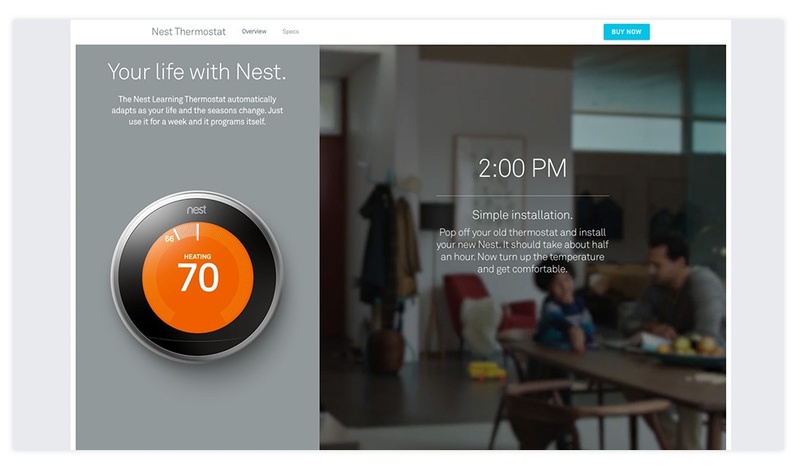 However, Nest incorporates a background video that transitions into a fade effect. 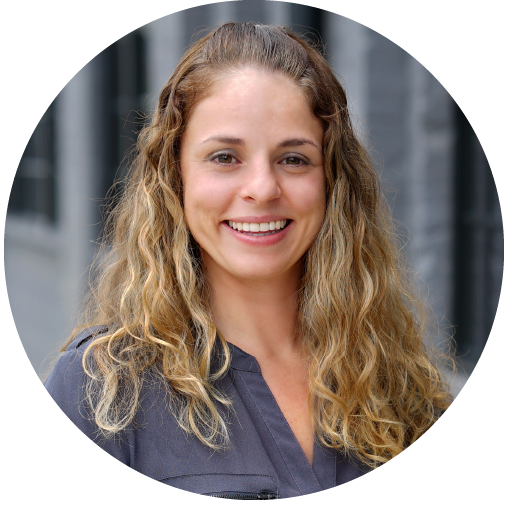 This helps users focus on the specific content and establishes a product lifestyle. Designers use icons to help users visually digest information. 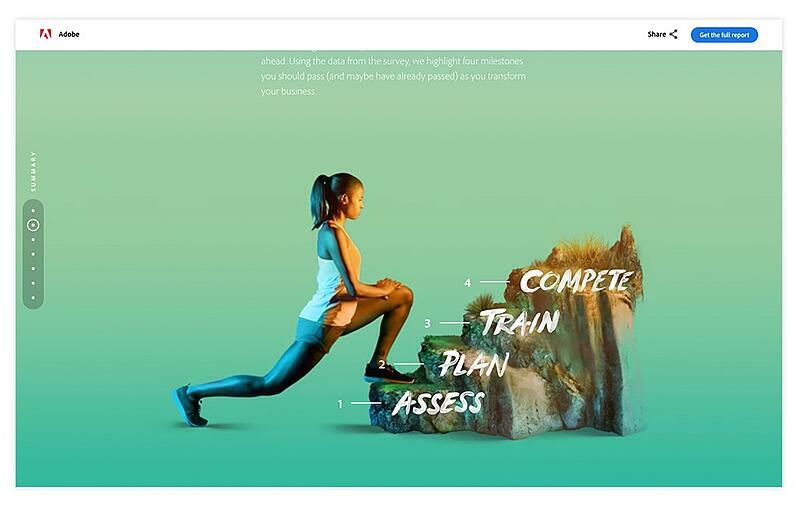 This example from Acer Exhibits, a website created by Groove, takes this concept to the next level by incorporating SVG hover animations. These animations delight users with an unexpected interactive experience. Cinemagraphs, unlike still images, add movement to websites and encourage user interaction. For example, cinemagraphs in Adobe’s Digital Marketing Study add visual interest to educational and informational content. Side note: The hand-done typography is beautiful! Large, bold typography immediately captures user attention and establishes core messaging. 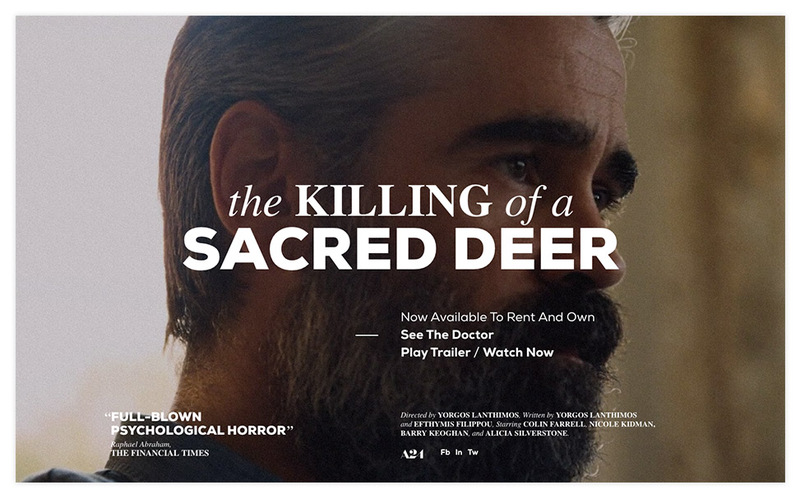 This example from the ‘Killing of a Sacred Deer’ movie site balances this design effect and with a minimalist aesthetic. Frustrated with your site's design? Looking for recommendations to improve performance? Request a free marketing and website assessment below to supercharge your site in 2018. Once you get your website to the level you want it, learn how to bring in qualified traffic with our inbound marketing for eCommerce guide!